Scrappers was a reality TV series featuring scrap metal crews in New York City that aired briefly during 2010 on cable channels owned by Viacom, such as Spike TV and MTV2. Viacom hired Hoosick to produce the show, and Hoosick entered into an April 1, 2009 Production Services Agreement with New 38th. Under the Production Services Agreement, Hoosick was entitled to various categories of "contingent compensation," which amounted to specified shares of various categories of revenues from the series. On August 3, 2009, the show's creator, Fidilio, entered into three contracts with Hoosick relating to his role in connection with the series: a Producer Agreement, a Participant Agreement, and a Trademark and Merchandising Agreement. Under the Producer Agreement, Fidilio was entitled to around 15% of the contingent compensation paid to Hoosick under the Production Services Agreement. The Participant Agreement contained an arbitration clause requiring "mediation and, if necessary, . . . binding arbitration," of "all claims, controversies or disputes arising out of, in connection with, or relating to the agreement, the performance or breach thereof or default hereunder . . . ."
Fidilio brought an action in the Commercial Division alleging that New 38th and Viacom received significant revenue from Scrappers that was not disclosed to him in order to deny him compensation, and that Hoosick accepted payments from New 38th that constituted "contingent compensation," but failed to pay Fidilio his share under the Producer Agreement. Hoosick moved to compel arbitration, and all defendants moved to dismiss. Hoosick moved to compel arbitration under CPLR § 7503(a). 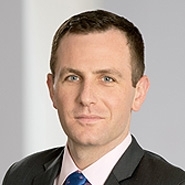 Hoosick argued that the agreements with Fidilio entered on the same day combined to make a single agreement such that the mandatory arbitration clause of the Participant Agreement required arbitration of Fidilio's claim for breach of the payment terms of the Producer Agreement. Justice Bransten agreed. According to the court's analysis, "[i]n the absence of anything to indicate a contrary intention, instruments executed at the same time, by the same parties, for the same purpose, and in the course of the same transaction [shall] be read and interpreted together[,] it being said that they are, in the eye of the law, one instrument." The court observed that a reference to the Participant Agreement in the Producer Agreement evinced "the intent of the agreements . . . to be read together." 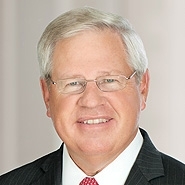 Justice Bransten rejected Fidilio's argument that the arbitration clause was "self limiting," in that the text referred to disputes under "this agreement." She reasoned that the agreements "were executed at the same time, by the same parties, and governing the same topic, Scrappers, and are referenced within each other's documents." Notably, CPLR § 7503(a) provides for a stay of the court action where an application to compel arbitration is granted. Nonetheless, Justice Bransten dismissed Fidilio's claims with prejudice, rather than simply staying the action, on the grounds that "where arbitration would dispose of all claims asserted, dismissal with prejudice is appropriate." The court ordered Fidilio and Hoosick to "first mediate and then go to binding arbitration, if necessary," pursuant to the arbitration clause of the Participant Agreement. In addition to sending Fidilio's claim against Hoosick to arbitration, Justice Bransten dismissed Fidilio's claims for breach of contract as a third-party beneficiary, unjust enrichment, and an accounting against Viacom and New 38th for failure to state a claim. The Commercial Division ruled that Fidilio was not a third-party beneficiary under the April 1, 2009 Production Services Agreement between Hoosick and New 38th, since the parties' other agreements evinced that they knew how to incorporate third-party beneficiaries into an agreement but elected not to do so for Fidilio in the Production Services Agreement. The unjust enrichment claim failed because the subject matter was governed by express contracts and, in any event, Fidilio failed to plead how Viacom and New 38th were enriched at Fidilio's expense when he alleged that New 38th had paid Hoosick compensation that Hoosick in turn failed to pay Fidilio. Finally, the claim for an accounting was dismissed due to a failure to show the required fiduciary relationship, the availability of other remedies, and a failure to make a proper demand on Viacom and New 38th, since the demand for an accounting was made on Hoosick. Fidilio has important takeaways for parties to commercial transactions and litigants alike. With respect to transactions, the case highlights the importance of clarity when drafting arbitration clauses. Particularly where a transaction may involve multiple related agreements, parties should consider expressly setting forth the reach of an arbitration clause to avoid later disputes. As for litigants, defendants facing contract claims in court may want to consider whether a mandatory arbitration clause in a related agreement could provide the basis for an application to compel arbitration under CPLR 7503(a). Fidilio v. Hoosick Falls Productions, Inc., No. 654066/2016, 2017 BL 107640 at 2-3 (quoting Participant Agreement). Id. at 2 (quoting Astoria Equities 2000 LLC v. Halletts A Dev. Co., LLC, No. 705215/2014, 47 Misc. 3d 171, 181 (N.Y. Sup. Ct. 2014) (Ritholtz, J.)). Id. (citing Republic Mtge. Ins. Co. v Countrywide Fin. Corp., No. 603915/2009, 28 Misc. 3d 1214(A), 1214A (N.Y. Sup. Ct. 2010), aff'd, 87 A.D.3d 457 (1st Dep't 2011)). Id. at 5 (citing Ambac Assurance Corp. v. EMC Mtge. LLC, 121 A.D.3d 514, 518 (1st Dep't 2014)).